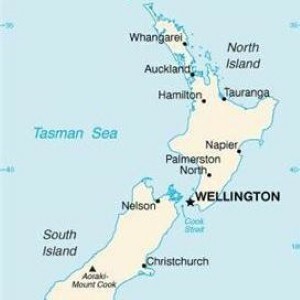 New Zealand holds a "fascination" for British people looking to see more of the world, it has been claimed. Commenting on the recent figures from NatWest which show the country offers the highest standard of living to UK expats, Rightmove head of overseas Robin Wilson explained its beauty, combined with the resemblance to home are major draws for Brits. "In tough times, the draw of greener grass can be powerful and with scenery as spectacular as that on offer [there], New Zealand is about as green as it gets," he said. Mr Wilson added the nation is a firm favourite with his company's customers, pointing out £135,000 could purchase a four-bedroom home. He cited the Lord of the Rings film trilogy as boosting New Zealand's population and said it had an "almost magical image". Brits heading off on an adventure holiday may decide to invest in travel insurance. New Zealand enjoys a good ski and snowboard season during British summertime and any extreme sports enthusiasts jetting out to the slopes may need adequate cover. Every year thousands of travellers head for new Zealand for the vast range of activities on offer. From bungee jumping to surfing, canoeing to canyoning it is important to check your travel insurance covers all the activities you are planning. Different policies have different exclusions so never automtaically assume you will be covered - get it in writing and insure with a specialist.